WASHINGTON — China’s drive to lead the world in artificial intelligence is spurring American efforts keep its technological edge, especially when it comes to national security. A technology wave equivalent to the Industrial Revolution, electrification and mechanization, “intelligentization” has the potential to change the way wars are fought, as well as finance, medicine and transportation, said former Deputy Defense Secretary Bob Work, now part of the Center for a New American Security’s Artificial Intelligence and Global Security Initiative. “I think AI is as ... important as the space race was in the Cold War. And as a nation, we responded to the challenge of competing in space.” Work said at a recent forum on the topic, drawing a comparison to America’s all-in effort to launch the Apollo 11 lunar mission. The national security nexus is more about economic competitiveness than weaponry, Work said. “We’re not going to approach this as though we’re in an AI arms race with China. But without question China is the pacing competitor in AI right now,” Work said. Still, just this month, Chinese media aired footage of military tests of a fleet of remote-controlled tanks, suggesting they could eventually be paired with AI systems. It was suggested China’s Type 59 tank, produced in large numbers but due to retire, could gain new life as robots. 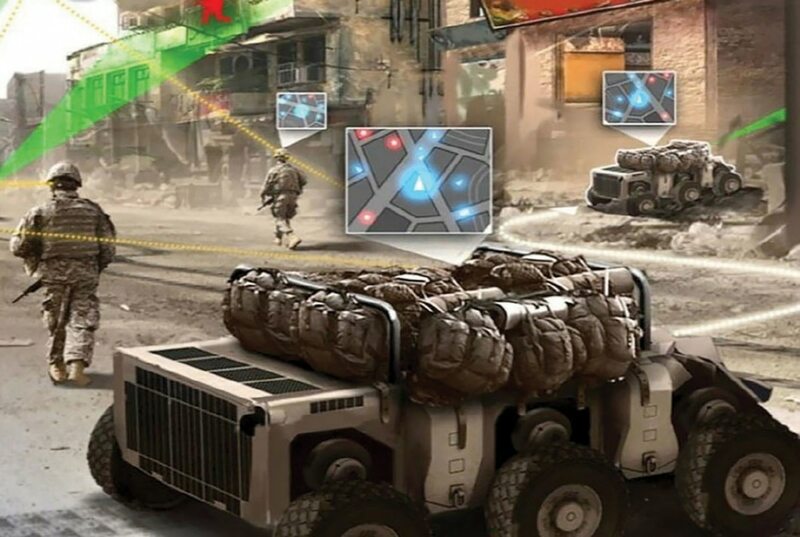 In January, the U.S. Army announced it was months away from qualifying an autonomous combat vehicle on a gunnery range, the first step toward weaponized robotics. Under the “Wingman” experiment, a specially configured Humvee hit targets with its on-board 7.62mm gun, the Army said. Among the Department of Defense’s AI investments, the fiscal 2019 budget request includes Project Maven, which is aimed at developing AI that can quickly discriminate people, vehicle and weapons from the incredibly large amount of footage collected by drones and other intelligence, surveillance and reconnaissance assets. Up from the $19 million research, development, test and evaluation request in 2018, the administration is seeking $110 million for 2019. Google is reportedly providing the DoD with access to its TensorFlow software to create object-recognition algorithms. Software engineers use TensorFlow, which is essentially a library of data, to train their algorithms for a variety of machine learning and deep neural network research. Special Operations Command’s budget requested $5 million to leverage commercial cloud services, citing TensorFlow as an example, to develop AI algorithms tailored in unspecified ways to special operations forces’ needs. It would leverage Project Maven. “To have a national response, you have to have a national push from above. So in my view it must start from the White House,” Work said, recalling President Lyndon B. Johnson’s leadership in America’s first moonshot. Today, America faces questions of how to press ahead: Should it stand up an AI agency or special task force? How does it ensure AI’s use within the laws of armed conflict? How does it prepare for a malicious, superhuman AI? In Congress, Rep. Elise Stefanik, chair of the House Armed Services Subcommittee on Emerging Threats and Capabilities, has introduced legislation aimed at getting America organized on AI. If passed, it would develop a commission to review advances in AI, identify the nation’s AI needs and make recommendations within a year to organize the federal government for the threat. “China has specifically focused on artificial intelligence and gaining global supremacy by 2030. We cannot allow that to happen,” Stefanik told Defense News, adding that she is also concerned about Russia’s AI efforts. The idea is to look — through the lens of America’s defense capabilities — at workforce development, at what innovation efforts the DoD needs to channel and at what it must do quickly. “What I don’t want is for this to be siloed: We need to look at AI’s effects on readiness, on weapons systems, on intel collection,” she said. Some have argued China’s centralized state-run approach to AI gives it the advantage, as does its looser approach to data and privacy. But Stefanik countered that America’s private sector talent and innovation are superior. The subpanel’s top Democrat, Rep. Jim Langevin of Rhode Island, is co-sponsoring the bill, and Stefanik said she expects Senate Armed Services Committee member Joni Ernst, R-Iowa, to file a corresponding Senate bill in the coming days. The bill is meant to spark and frame a conversation and to be incorporated in the annual defense policy bill, set for markup May 9. Stefanik’s subpanel has been a forum for discussions about Chinese tech advancements. In January, Assistant Defense Secretary for Research and Engineering Mary Miller testified that China has prioritized investment in advanced materials and manufacturing, hypersonic weapons, advanced computing, artificial intelligence, and robotics, she said. The DoD, meanwhile, has organized regular meetings on its various artificial intelligence efforts. “Over 40 organizations, over 150 people, typically any given week … come to talk about what they are doing and how they are investing in what their needs are,” Miller said. 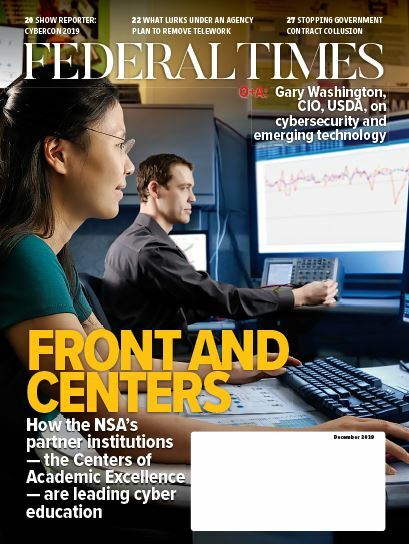 One goal is to apply AI to back-office functions to streamline the Pentagon. Another is examining the foundations of AI — machine learning, data analytics, robotics and advanced computing — and how humans and AI can work together to provide war fighters with improved capabilities. Daniel Cebul contributed to this report.